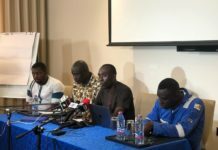 The Africa Centre for Energy Policy (ACEP) has said the country will still lose money even if the Sankofa gas remains under the ocean to be produced later. It said in a release that when the time value of money principle is applied to the US$28million monthly payment the country is supposedly making to Eni and partners, it will not be difficult to see that the country is incurring losses. It also said there will be interest payments if the US$500million World Bank credit guarantee being provided by HSBC and Standard Charted Bank is triggered. It adds that: “Ghana is also exposed to certain technical and geological risks that may, in reality, alter projected production levels. A case in point is the Jubilee field. The projected production capacity from Jubilee Field was 120,000bopd, but current actual production levels indicate about 90,000bopd. This means that gas in the ground is not an automatic revenue at will”. In other words, the agreed volumes of gas Ghana is supposedly paying US$28million every month for cannot be produced at a future date. The take or pay clause in the deal has meant that the country is paying for the gas even though it is yet to make infrastructure ready to receive it from Italy’s Eni, which is operator of the Offshore Cape Three Points (OCTP) oil field. The Energy Ministry had sought to water-down the magnitude of losses the country is incurring from its inability to make infrastructure ready to evacuate gas from the field – saying in reaction to news reports that: “Though it is an integrated oil and gas project, the sponsors will only make their money from the gas sales. The production of gas can therefore be deferred, leaving the gas in the ground for future utilisation”. ACEP explained that in a situation where the receipts of gas sales are inadequate, the partners are supposed to draw their payments from an Escrow Reserve Holding Account (ERHA) – a buffer account that is supposed to contain 4.5 months of estimated gas revenue of US$191.95million. It goes on to reveal that the GNPC could only provide US$100million into the escrow, and that Eni has already put its hands on that US$100million. This means government will have to replenish the escrow or the World Bank’s US$500million credit guarantee will have to kick in. This credit guarantee is being provided by HSBC and Standard Charted Bank, for which the GNPC has 12 months to pay. ACEP therefore points out that: “This means GNPC will incur more debt, and failure to pay within the stipulated time will result in accumulation of debts and interests payable by the nation”. In-between the time of approving the Plan of Development (PoD) in 2015 and July 2018, the OCTP partners raised US$7billion to finance the project and developed the required infrastructure, including the ginormous FPSO John Agyekum Kuffour and onshore receiving facilities. The government of Ghana (the risk-bearer), on the other hand, needed to align planned investments in power generation systems to be ready for first-gas from the OCTP project. Surprisingly, significant power generation additions were located in the Eastern power enclave while the gas was expected in the West. This therefore required remediation infrastructure to send the gas to the East. The existing West Africa Gas Pipeline (WAGP) provided opportunity to reverse gas from the West to East. However, it took four years for government to negotiate the tolling fee. The required interconnection pipeline, initiated under the NDC government, has also delayed beyond the scheduled first-gas. Government is now promising that the interconnection will becompleted by the end of January 2019. Employers: Should you hire Experience or Degrees?